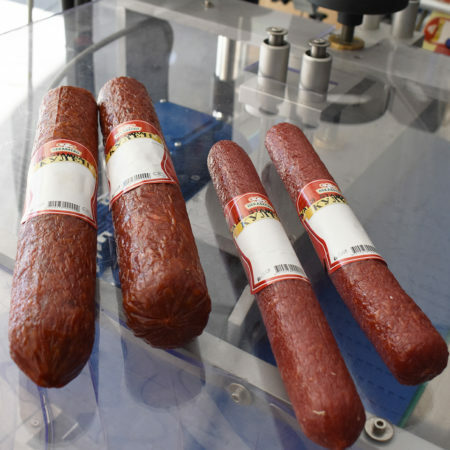 Our range of packaging machines you can find a labelling solution for application on all types of salami: we have both table top solutions and semi-automatic systems. 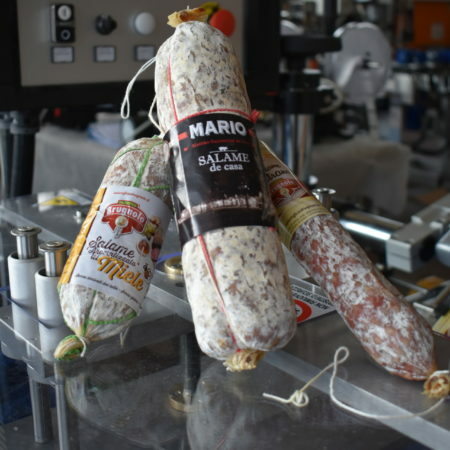 Among the latest projects we realized, our M3005 allows to label salami with synthetic and natural casing. 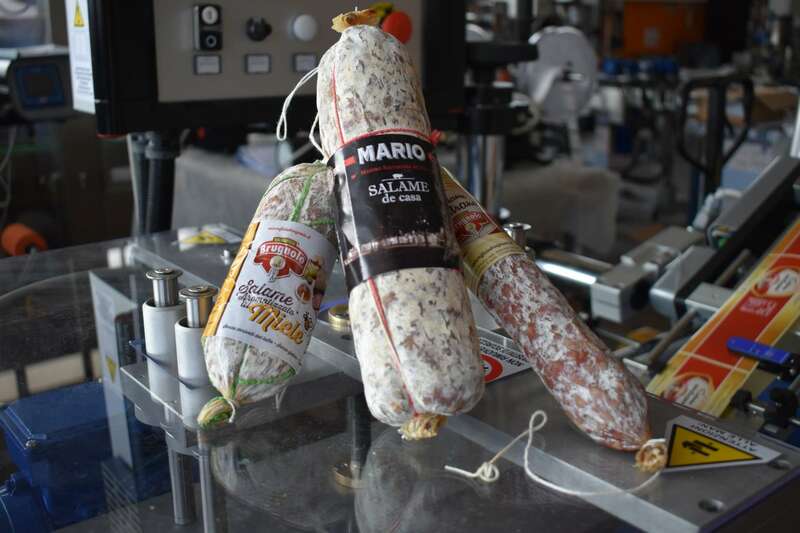 The label wrapping system has been designed by our engineers to achieve labelling that includes two overlapping and perfectly aligned edges; this function is also suitable for arched salami or deformed by seasoning, as well as those impregnated with natural molds. 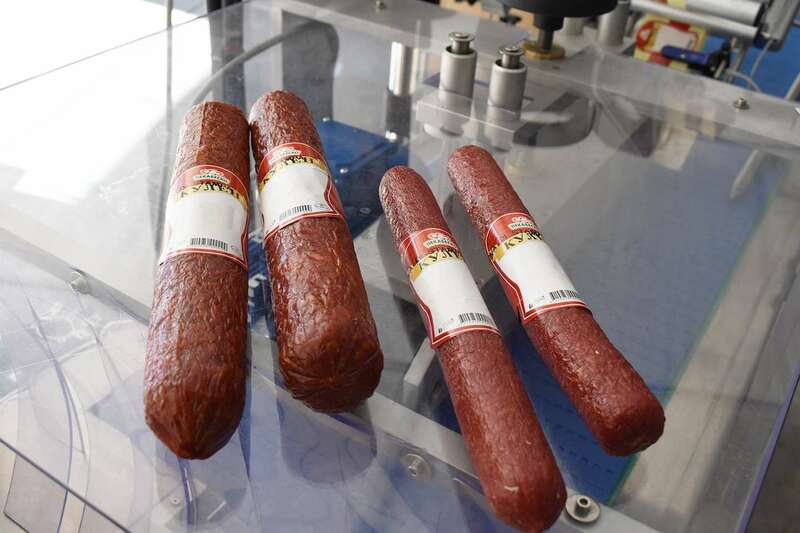 The construction of this machine was a real challenge, but with great satisfaction of our customer, our M3005 for wraparound label application on salami comes to produce an average of 40 pcs / min. The solution is equipped with IP55 control unit with touch screen for complete management of the work cycle. As for all of our packaging systems, the format change is extremely simple to perform. Our M3005 for salami is custom-made and can be installed in new or existing workplaces.